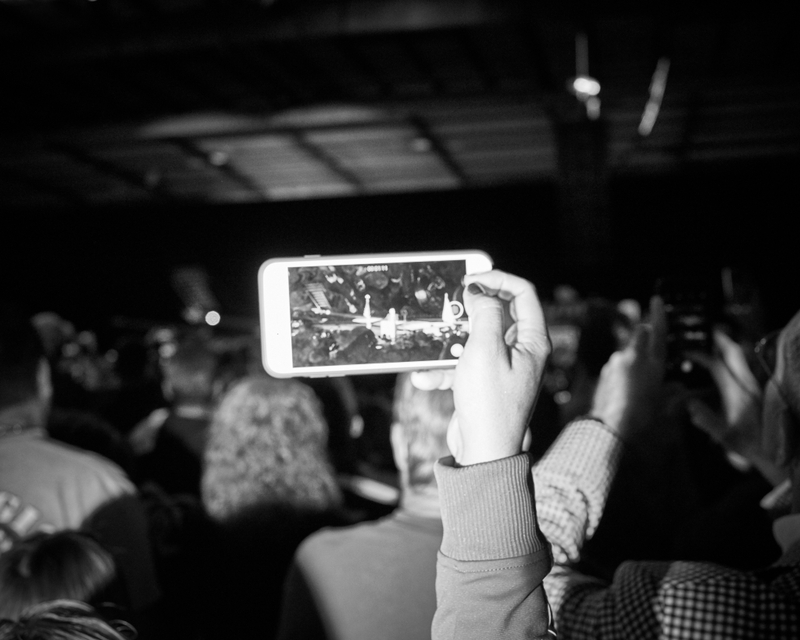 Eight days before the Presidential election I attended a Trump rally held at a jet hanger in Albuquerque, New Mexico. After months of reading the news coverage I wanted to see the phenomena and spectacle of these events for myself. I went with visions of encountering a mob of unhinged voters. What I found was far more nuanced. 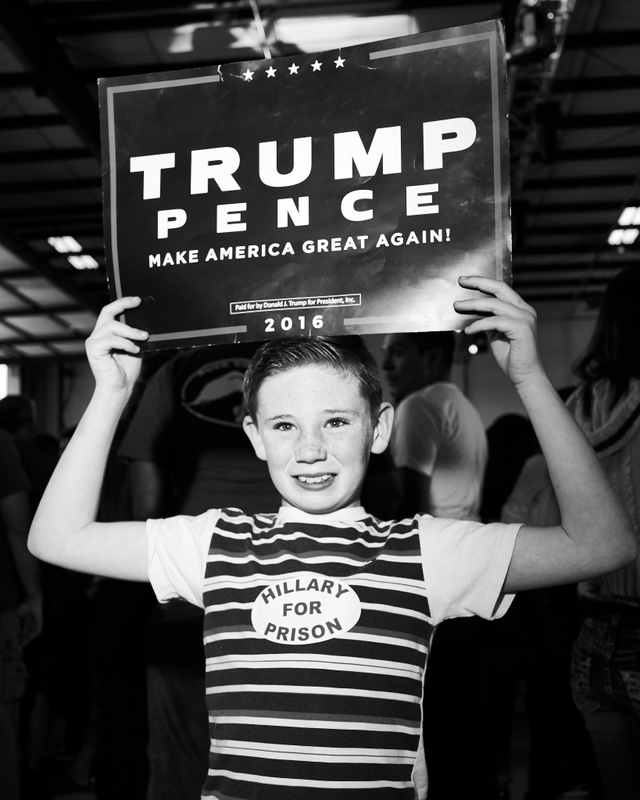 Yes, the politics of Trump were worn proudly (and literally) by his supporters. However, behind the signs I found many faces of people just trying to participate in the election the best way they know how. 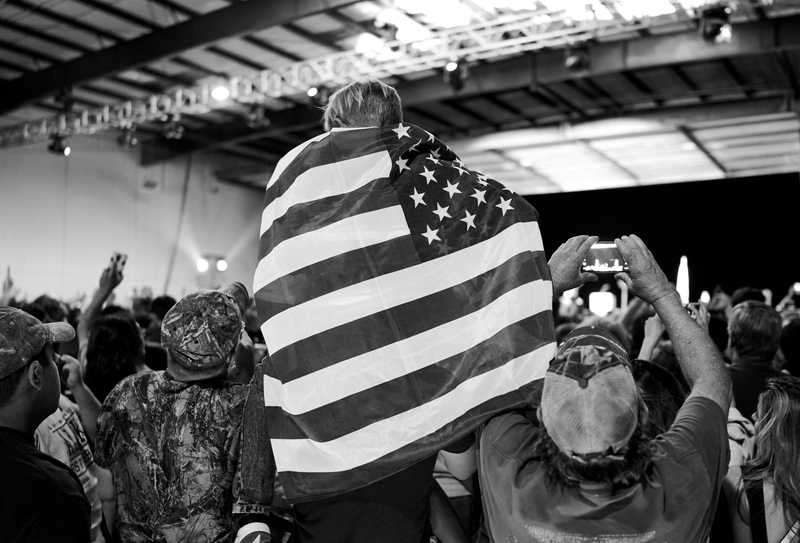 While I continue to disagree with Trump’s reprehensible use of nationalism, know-nothing-ism, and fear to rally his base, I can understand why slogans like “drain the swamp” [in Washington] resonate so much with the supporters I met. 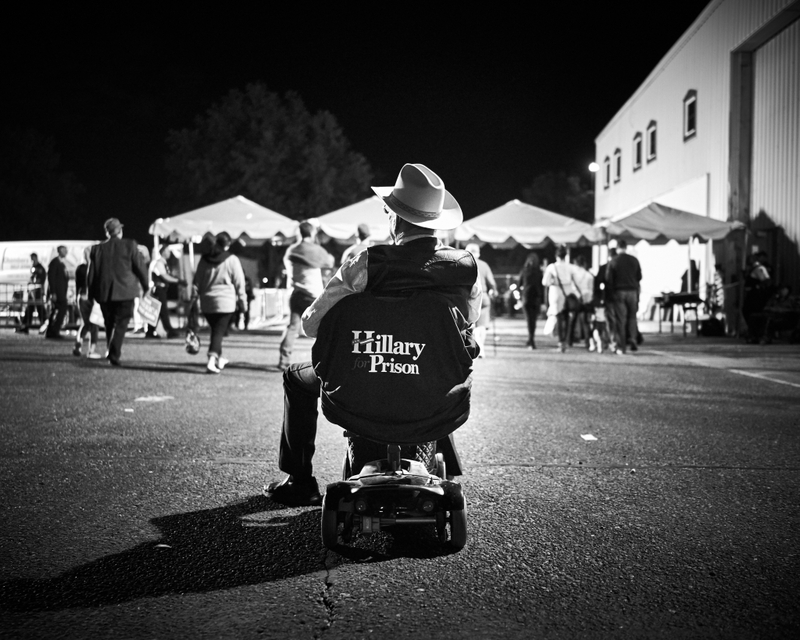 Many of the people I talked to were tired of the status quo and thus were voting against Hillary more than they were for Trump. In that one way, it sounded very Obama ’08 to me. A day later, I can’t help but feel that if we all can get past the rhetoric, extremism, and political theater that is designed to keep the country divided, we as Americans might find more in common with each other than our leaders would like us to believe is possible. 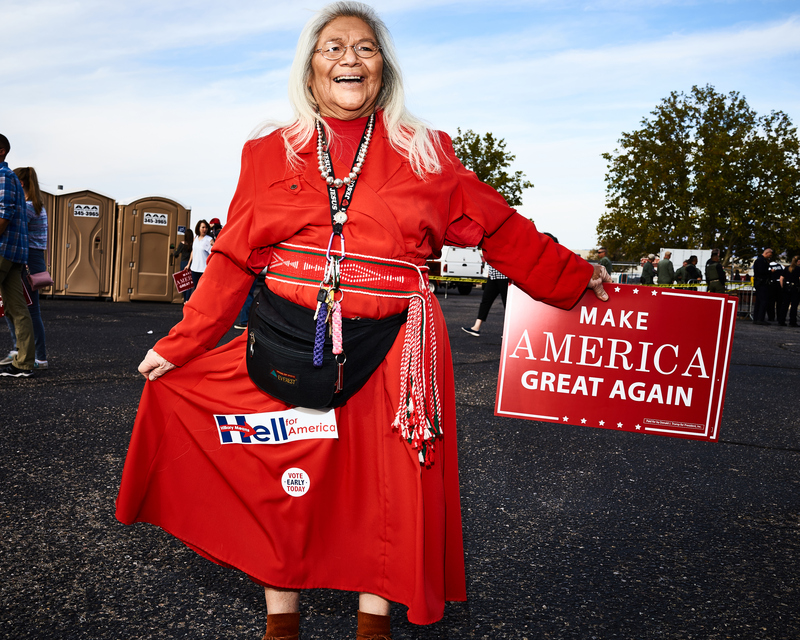 A Trump supporter at a rally in Albuquerque, New Mexico on 10/30/16. 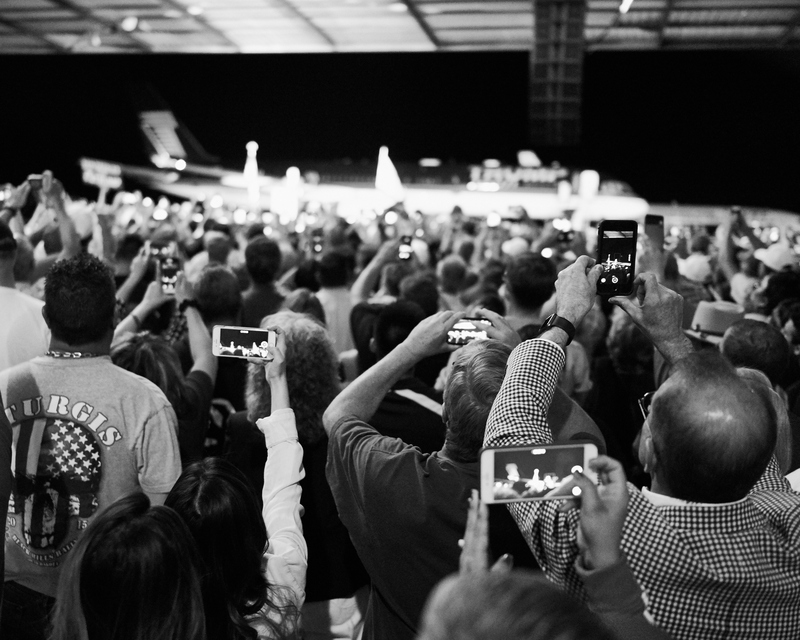 The Trump campaign jets arrives at a rally in Albuquerque, New Mexico on 10/30/16. 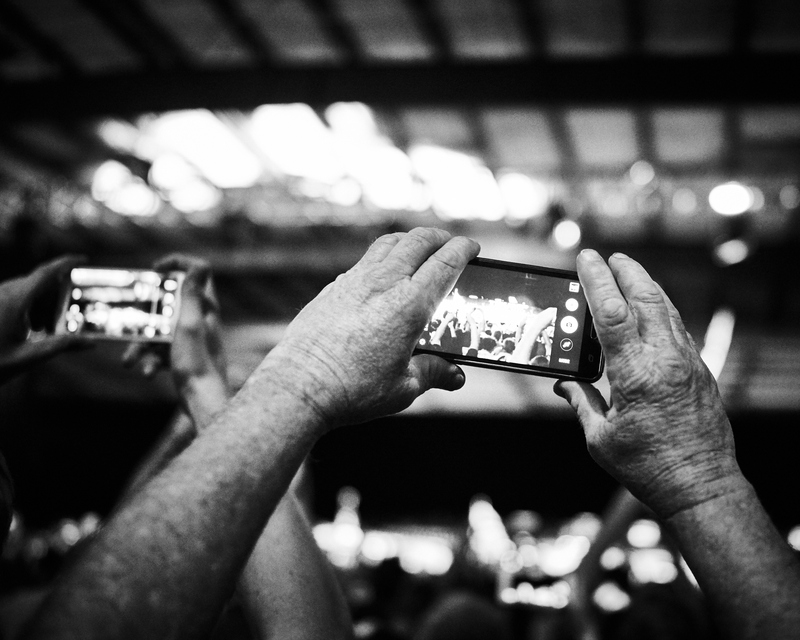 A man records Trump speaking at a rally in Albuquerque, New Mexico on 10/30/16. Trump supporters lock hands during a rally in Albuquerque, New Mexico on 10/30/16. 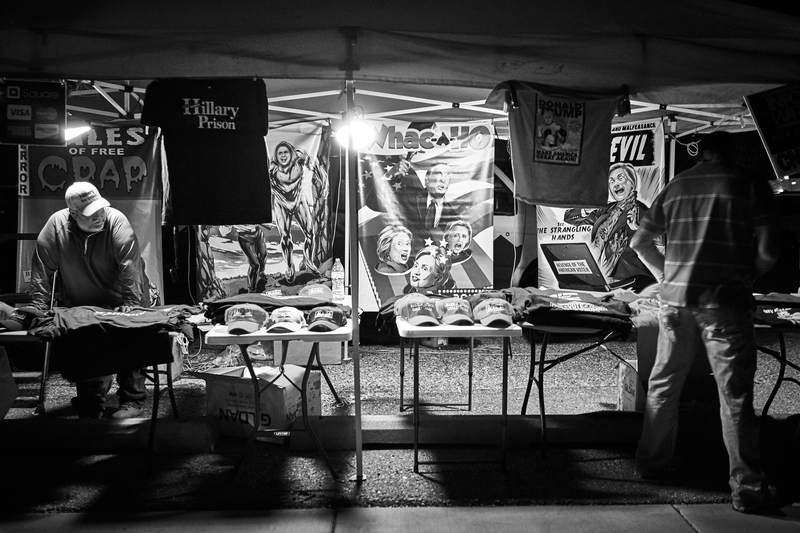 A vendor sells orignal artwork as posters during a Tump rally in Albuquerque, New Mexico on 10/30/16.